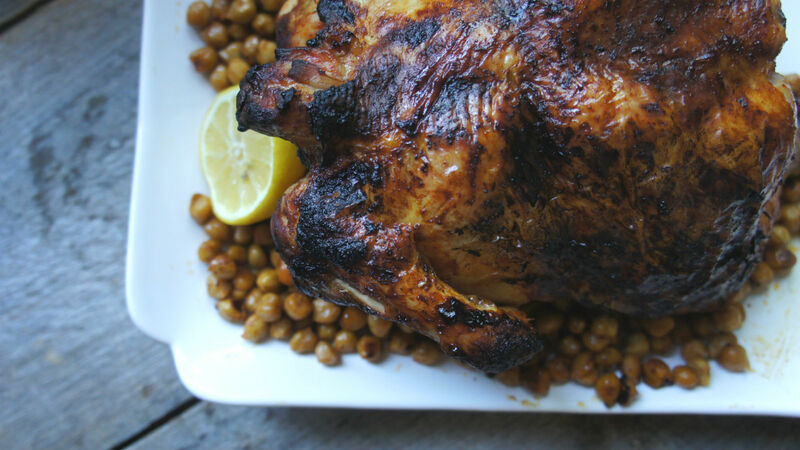 Add a little North African spice to your traditional roast chicken. There’s a reason chicken is a bit of a Friday night staple – before Jews came to America, red meat simply wasn’t abundantly available and therefore saved for special occasions. 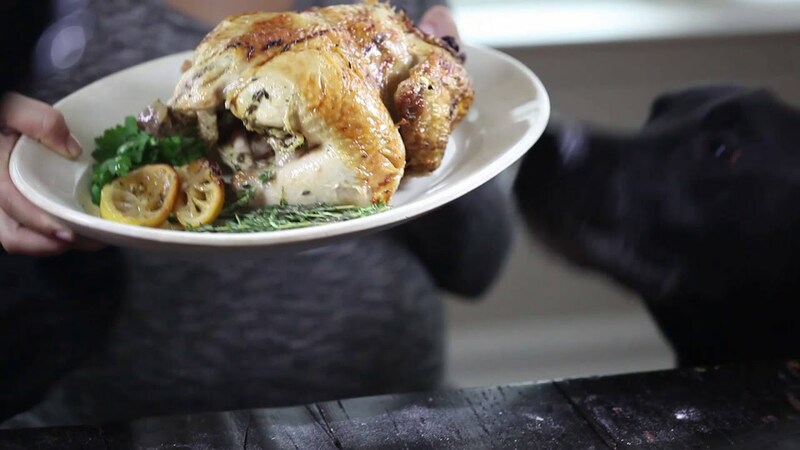 But also, chicken is a relatively easy dinner to prepare, especially when you roast a whole chicken. But wait, you may be asking: what the heck is harissa? Harissa is a North African pepper and chili condiment, or paste, that was brought to Israel by the Jews of Tunisia and Morocco, and quickly became a popular flavoring. It can be found in dried form in the Israeli outdoor markets or as a paste in jars. Even many American supermarkets like Whole Foods, Stop & Shop, Shop Rite and Trader Joe’s are carrying harissa (usually in the Ethnic aisle with other Middle Eastern products), and you can even try your hand at making your own. And there are so many ways to use it, from these lemon potatoes with harissa mayo to a spring greens fritatta. But I recently got my hands on some NY Shuk harissa, and truly honestly, it is so much better than trying to make your own or many of the other store-bought varieties I have tried. It’s smoky, deep and not too spicy. And I have made chicken with it several times to the delight of my family and friends. I like roasting a whole chicken using an upright roaster like this or this. I highly recommend investing in one – it makes such a different for a super moist bird on the inside, while still achieving that coveted crispy skin. 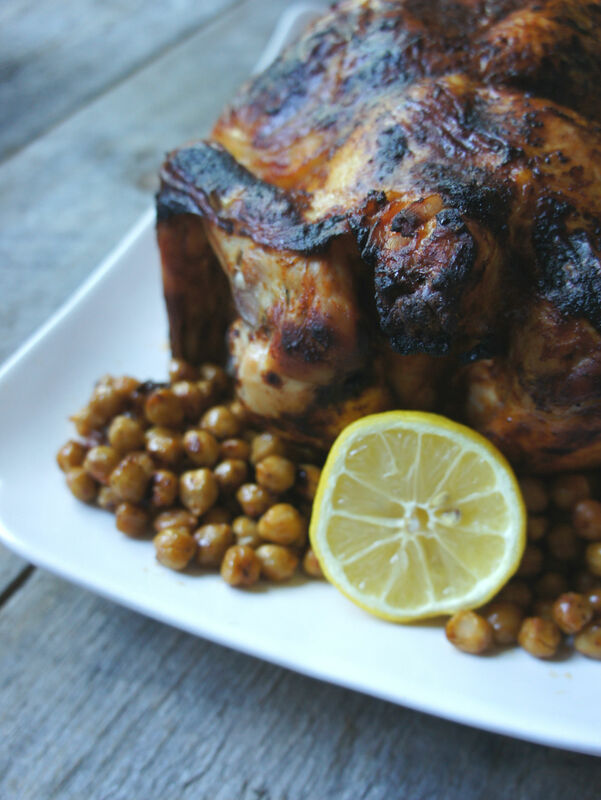 If you want to add a rinsed and drained can of chickpeas in the bottom of your pan for the last 15 minutes, they are delicious with this chicken, but that step is completely optional. Mix together honey, harissa, lemon zest and lemon juice, olive oil, salt and pepper. Place chicken in a sealable plastic bag and pour marinade in. Massage chicken until completely coated. Throw in lemon halves if desired. Place in fridge and allow to marinate for 1 hour or up to 24 hours. 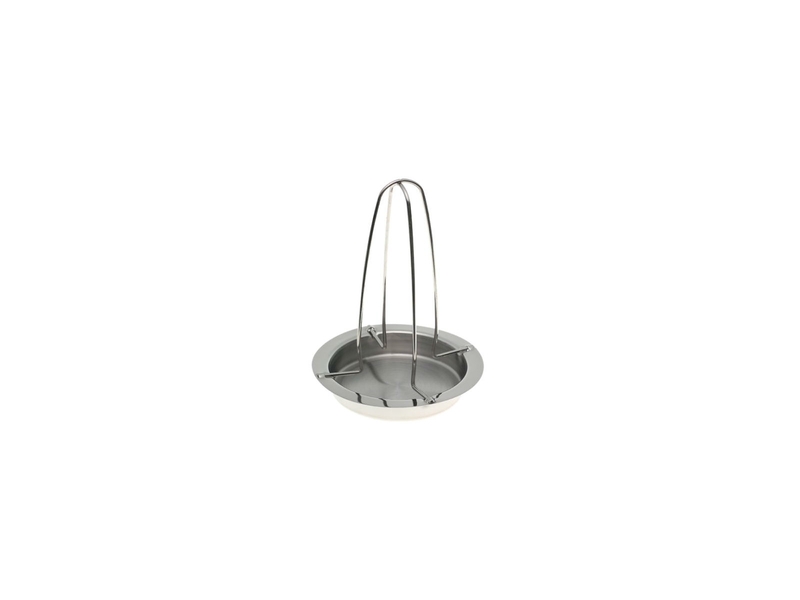 Place chicken on an upright roaster (pictured above) or on a baking sheet. Cook for 55-60 minutes or until a meat thermometer (stick into thickest part of chicken without touching bone) reads 165 degrees F.
Allow to cool slightly. Cut into pieces and serve.